The School of Law, Galgotias University, is offering admissions to its B.A., LL.B. (Hons.) and B.B.A., LL.B. (Hons.) 5 Years Integrated Programmes through the Galgotias University Law School Admission Test (GU-LSAT) 2017. GU-LSAT 2017 will be held in 20 centres across India. Candidates can apply for admissions to the BA LLB (Hons.) and BBA LLB (Hons.) courses through GU-LSAT 2017 in online mode only. The last date by which candidates can apply to appear for the exam is May 30. While the entire application process will be online, the GU-LSAT 2017 exam will take place in offline mode, with the use of pencil and paper. 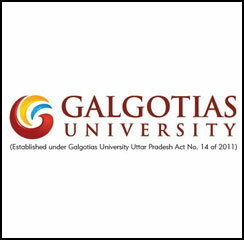 A private University located in Greater Noida, Galgotias University was founded in 2011. 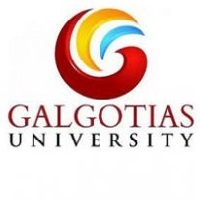 All important details about the application process for admissions to Galgotias University including the eligibility criteria, application process, fees, exam centres and other information can be seen by candidates on this page. Candidates should have cleared their Class 12 (XII) or equivalent exam with not less than 50% aggregate marks to be eligible to apply for GU-LSAT 2017. Candidates should secure a valid GU-LSAT 2017 score to be eligible for admissions to the BA LLB (Hons.) and BBA LLB (Hons.) 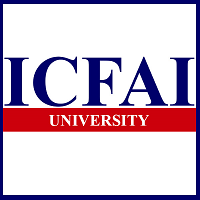 Five Year Integrated Courses offered by Galgotias University. The age criteria for admissions to the two Five Year Integrated Undergraduate Law Courses of Galgotias University has been specified as 22 years for candidates as on August 1. However, as per the Supreme Court stay order passed on March 3, 2017, the age limit criteria for undergraduate LLB admissions to all law institutes across the country has been removed for the academic year 2017-18. 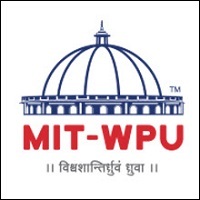 Candidates aspiring for admissions to the BA LLB (Hons.) and BBA LLB (Hons.) Five Year Integrated Courses can only do so by applying for the Galgotias University Law School Admission Test (GU-LSAT) 2017 in online mode from the link given below. Candidates can apply for either the BA LLB (Hons) or BBA LLB (Hons.) course offered by Galgotias University as per their interest by following the given application procedure. A valid personal Email ID and Mobile No. should be submitted by candidates while registering online for GU-LAST 2017 and be kept active until the end of the admission process. The Email ID and phone number cannot be changed under any circumstances. The entire application form should be submitted online by entering the required information in the given fields. No hard copy of the application form should be submitted. Candidates should ensure they fill the details required in the GU-LSAT 2017 Application Form carefully without any spelling mistakes. The application fee for GU-LSAT 2017 will be Rs. 500. This non-refundable fee will include the cost of Application Form, University Brochure and Examination Fee. After the successful submission of the GU-LAST 2017 Application Form, candidates should initiate the payment proceedings only through online mode through Debit/Credit/Netbanking/Paytm options. Once payment is completed, a registration slip will be generated which candidates should take a printout of and keep safely with them. Candidates who have successfully submitted their application form and paid the application fees for GU-LSAT 2017 will be notified about the availability of GU-LSAT Admit Card via their given phone number and Email ID. There will be no physical communication regarding the same. The Galgotias University Law School Admission Test (GU-LSAT) 2017 for admissions to the BA LLB (Hons.) and BBA LLB (Hons.) Five Year Integrated Courses will be held on June 11, 2017 in a total of twenty cities across India, as given in the below table. Candidates may contact the authorities at Galgotias University at the below given address for any further information they may need regarding the BA LLB (Hons) and BBA LLB (Hons.) courses offered by the University through GU-LSAT 2017. Go to law.careers360.com for the latest news and updates on Galgotias University, Greater Noida! Can i get a loan from bank for studying llb in galgotias university? Your Galgotias University, Greater Noida brochure has been successfully mailed to your registered email id .